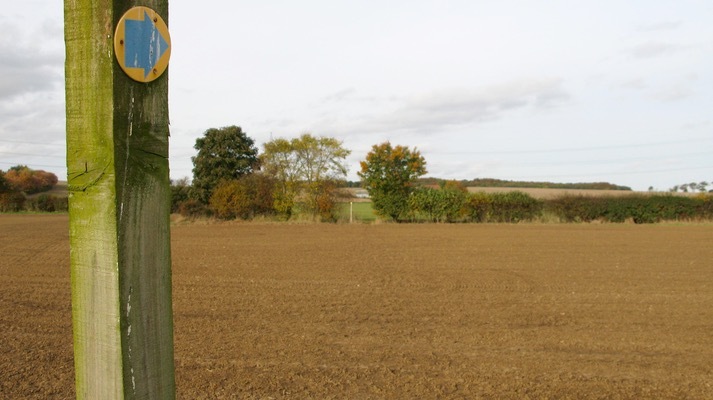 Grade: Easy going – round level 3.5 mile walk, a combination of tarmac lane, field and roadside. 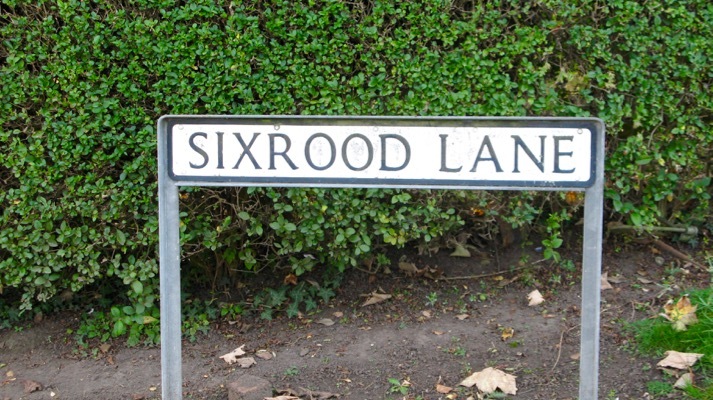 Start point: Six Rood Lane off Grange lane (near the phone box in the middle of Burghwallis). Note: To complete the round about a third on the roadside. 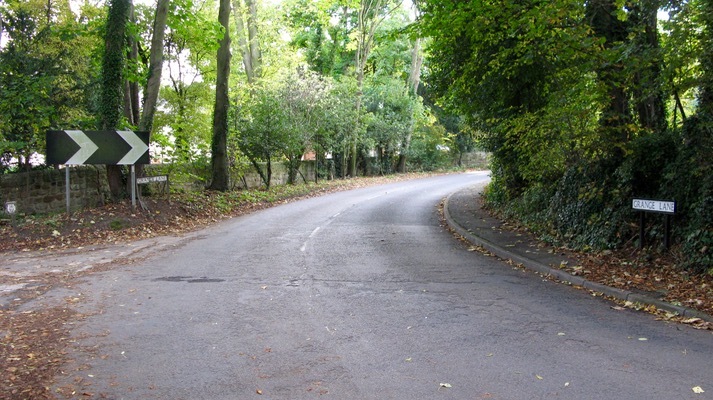 It is possible to reach about two thirds of the walk distance then double back and avoid the road side element. Turn off Grange Lane onto Sixrood Lane bridle path. 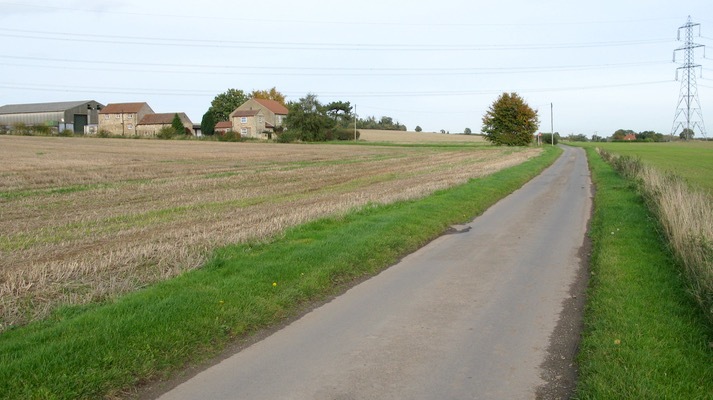 In 50 yards this tarmaced lane passes a metal farm gate. 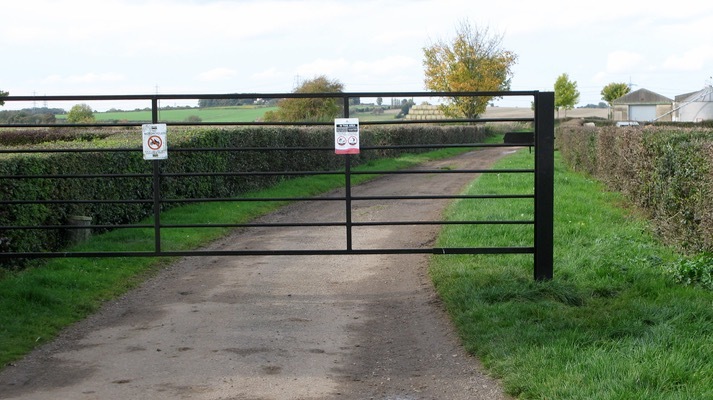 You are able to shimmy between the gate post and the hedge if the gate is shut. This is a working farm and care should be taken with dog walkers to clean up after their pets and respect shown for the farm animals by keeping pets under control. 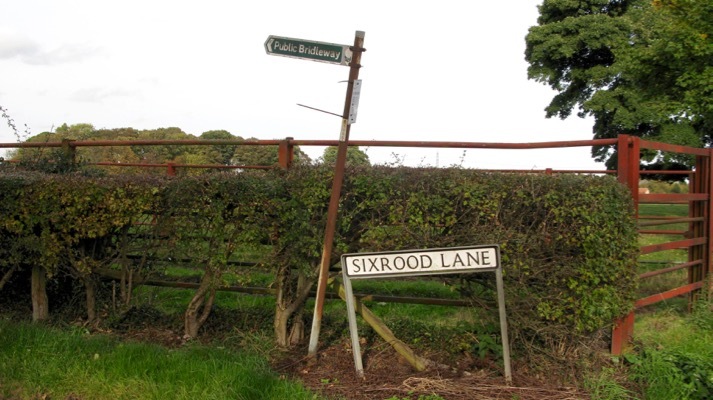 Follow Six Rood lane for ¾ mile, the lane will change from tarmac to grass about half way along. 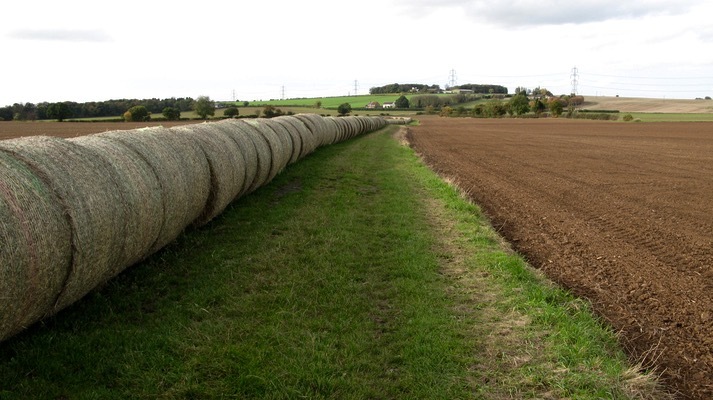 The farmer also stores bales of hay for cattle bedding along side the path, which acts as a good way marker. 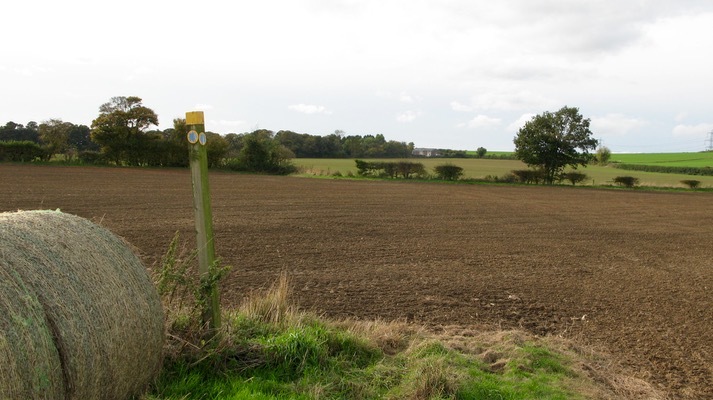 The lane stops at the end of a “peninsular” before taking a diagonal across the crop field. Stop at the footpath way marker and breath in some history. You are facing due north at this point. To the east you will probably hear the distant whoosh of the A1 known originally as The Great North Road built by the Romans. About ½ mile away due east from where you are standing, alongside the A1 is the site of a Roman fort that guarded the road. After the Romans left the area the Anglo Saxons moved in, some were already here having snuck in with the Romans, liked the place and after a gap of 50 years brought their relatives over. Next, all around you became the favourite hunting ground of Robin Hood. You may have mistakenly believed that Robin tended to wander about Nottingham, mostly because the Sheriff of Nottingham made such a fuss when chunks of his cash went adrift, but in fact Robin was mostly stomping about these parts before setting out south – probably down the Great North Road to shift some funds about with the poor. Much easier if he flew from the airport named after him in the South of Doncaster but that would be just plain anachronistic. Modern history is being made right in front you. On the skyline you can spot a white building that has a castellated roof line. This is the home of the Doncaster Summerhouse Vineyard, yes award wines are being produced in Doncaster. Back to the walk; head north east across the field, through the hedgerow then across another field. After 200 yards you will reach a tarmac road. Turn right along New Close Lane. Continue for 500 yards and you will pass a house on your right. 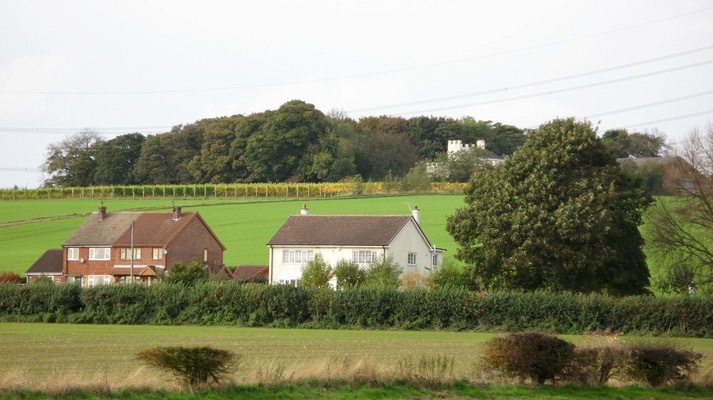 Immediately beyond the house and garden turn right to follow the hedgerow alongside the field. Continue for 100 yards and you will come across a country lane used mostly by tractors. Turn left to follow this track for 100 yards where you will come across a cross roads in the lane. Turn right to head south. 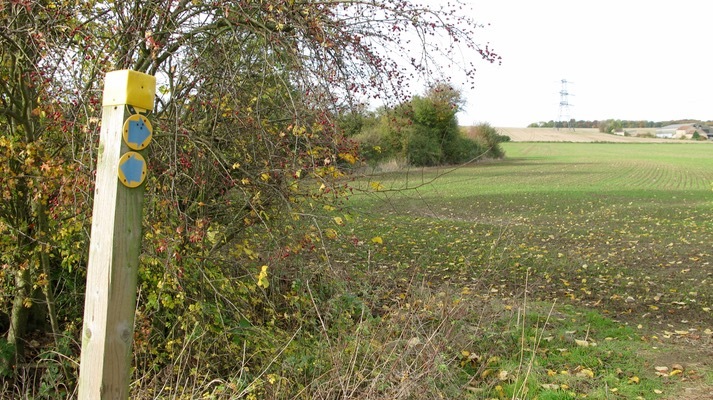 There is a footpath bounded by head rows. Occasionally this can get overgrown in sections, and it may be best to scoot along the hedgerow walking on the edge of the adjacent field. Another 100 yards and you will reach Burghwallis Road that links Burghwallis with Campsall. Turn right towards Burghwallis. You will have to swap sides a couple of times to make sure you can see any traffic. 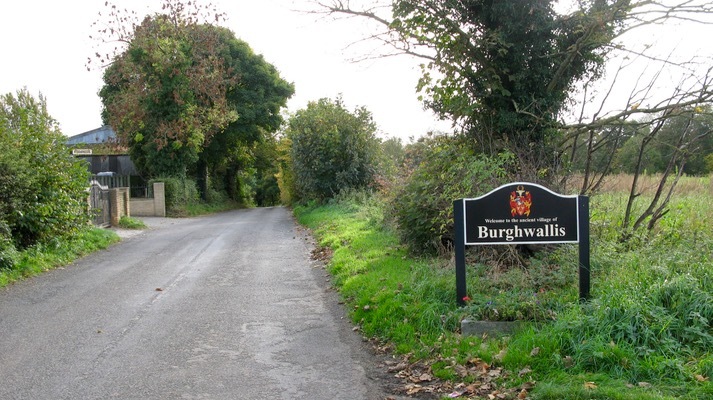 As you reach Burghwallis follow the road round to the right, Grange Lane, to enter the village. As you walk along the road you can marvel at the fact this section of Burghwallis, according to planners has one of the most beautiful “village-scapes” in the UK. On your left you will pass St Helen’s church set down a lane. This church traces back to Anglo Saxon times and is listed as an ancient monument. Next to the church is Burghwallis Hall, a grade I listed building and one time seat of the Anne family the local laird. Since the 1960’s it became a convent, then a nursing home and looks set to be sold. Head along Grange Lane past the Grange “Houses” that were once a staging post for coaches traveling along the Great North Road (A1) that lies a mile away to the north of the village. Turn left down Old Village Street after 50 yards turn left again then down the lane on your right is the old village pump that served the entire village. This is the old part of the village where the houses are around 400 – 500 years old. Walk back 30 yards along old village street, and turn down Well Lane on your right. At the bottom of this lane (50 yards) you will see the Ancient Pinfold used to collect stray farm animals before being collected by the farmers (after a fee to the parish was paid, and you thought parking tickets were a new idea) Walk back up to Old Village street and turn left and in 50 yards re-join Grange Lane as the road twists past the war memorial a grade II listed monument, walk straight on then in 200 yards you arrive back at Scorcher Hills Lane. Turn right, then first right into the pub car park, which may still be open for you to enjoy a drink or a meal at your pleasure!